David J Caron has just released his latest video, Illusion. The track blends together 80s metal and progressive rock with emotive vocals and intense instrumentation. The track runs a hair over five minutes, but Caron’s skill ensures that there are more than enough twists and turns present here to keep listeners focused on in. The production of Illusion is crisp and clear, allowing for the vocals, drums, and guitars the ability to shine separately and together. The bridge at the mid-three minute mark utilizeas multiple harmonies, a move that provides ample oomph to keep the track’s tempo high through the final two minutes. The track’s high energy never falters, providing listeners with a great introduction to Caron’s inimitable style of music. 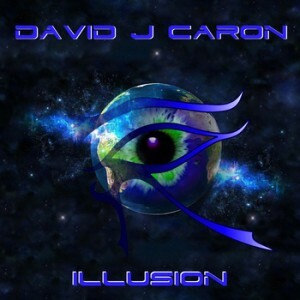 Make sure to visit his domain (below) or his Facebook at https://www.facebook.com/DavidJCaron for the latest news and tracks.